The Denholm line has a long lineage in SCOTLAND. And the Turners of devon have a long line in….England. I will dedicate this page to the Morrison clan and their lineage.. Where it says my 14th great grandfather, I am Helen Rose Quilietti born 1953. If we go back to our great Grandmother Helen Denholm who was born in the year 1853 in the Canongate, Edinburgh and trace her line backwards then I have to tell you that we find a ‘Sir’ in our family. That is the good news. The bad news is of course that this Sir hailes from over the Border……to Devon in England Our Helen married John Walkerand they had the children below listed. Starting with Helen’s father James Denholm. He married Janet Anderson in the year 1849. James’s father was Alexander Denholm, born in Currie. He married Anne Inness and they produced James. Anne passed away and James re-married Margaret Christie. George’s father was James Denholm born in the year 1717 in Colinton, Edinburgh. He married on 29th April 1738 in what was known then as Hailes in Midlothian. James married Helen Turner and from here backwards we will go back through the Turner line, our 6th great grandmother’s line. She was the lady responsible for our English links. Helen may have in fact been married twice, once to a Walter Craig, but this is as yet unconfirmed. Helen’s father was called William Turner and her mother’s name was Mary Meal[a]. William was born in a place called Birling in Kent on 18th December 1690. 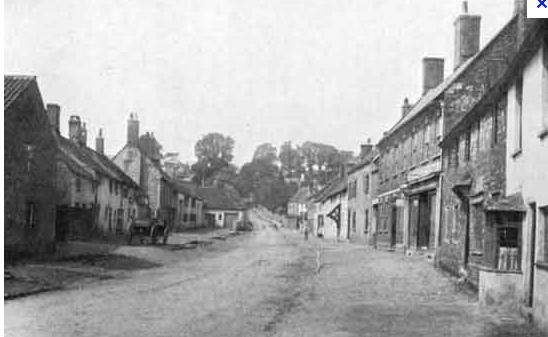 “UGBOROUGH is a neat and pleasant village, on the slopes of an eminence, surrounded by higher hills, 2½ miles E. of Ivybridge, and N.N.E. of Modbury, and 1½ mile W. of Kingsbridge Road Station. Its parish contains 1532 souls, and 8659 acres of land, generally fertile, and extending westward to the river Erme. It includes several handsome mansions, and many respectable farm-houses, and the small hamlets of Ludbrooke, Cheston, Nilham, Wrangaton, Fileham, and part of Ivybridge. Our James Innes Denholm was born in 1822. Our line continued with his daughter Helen Denholm Helen had a brother James and I assume that you are a descendant of this line. The identical names of our James Innes and your dad is too close to ignore. Helen Denholm 1776-1842 was my fifth great grandmother. She married John Wilson. This line takes me back to Helen Turner 1717-1737 and the “Sirs” you mention. Hello, I was doing some research on my family. I googled a name in my lineage and found your website, it seems we’re connected! Helen Turner is my ?x great aunt. I just wanted to say hello and wish you well. I’m a descendant of Helen Turner (b. 1717) but I am finding it hard to validate where her father William Turner was born. How did you link Helen Turner born 1717 in Midlothian Scotland to William Turner born in Kent? This is 425 miles apart and some distance for the 1700s! I also find it hard to link William Turner to Richard Turner (b. 1638 in Cornwall). Again, the distance is pretty significant being 324 miles apart. I’m from Northumberland but my grandmother who also descends from Helen Turner (b. 1717, Midlothian) is from Torphichen, West Lothian. I’ve done the LivingDNA test and it shows about 6% Devon DNA but I cannot find where this comes from. If Helen Turner does descend from this Turner lineage from Devon, I will have found my Devon connection. I just cannot valid the links with documentation so if you could please provide info to help me that would be great! First of all thank you so much for leaving your comment. Will have to check my archives Philip, as I have so much paperwork. Great that your DNA does come from Devon so the link must be there. Do you have a tree on ancestry. I have just commenced tracing our heritage and came across your tree. My 4th great grandfather was George Denholm. My query is that he appeared to have been born after Helen Turner died. Am I correct in assuming dates are correct or have I missed something? Any help you can give me would be very much appreciated. Yes, I do have a tree on Ancestry, I’ve also tested my DNA on Ancestry.